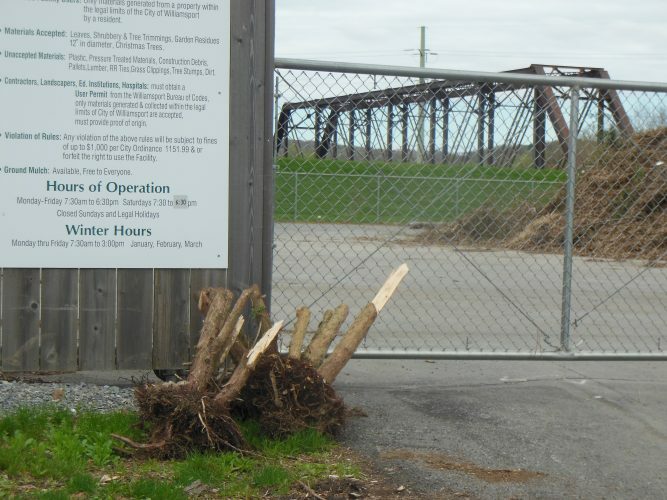 Damaging wind gusts blew through the Williamsport area Sunday night — with gusts up to 46-miles-an-hour recorded at the Williamsport Regional Airport. Trees fell, power lines faltered and roofs were torn. 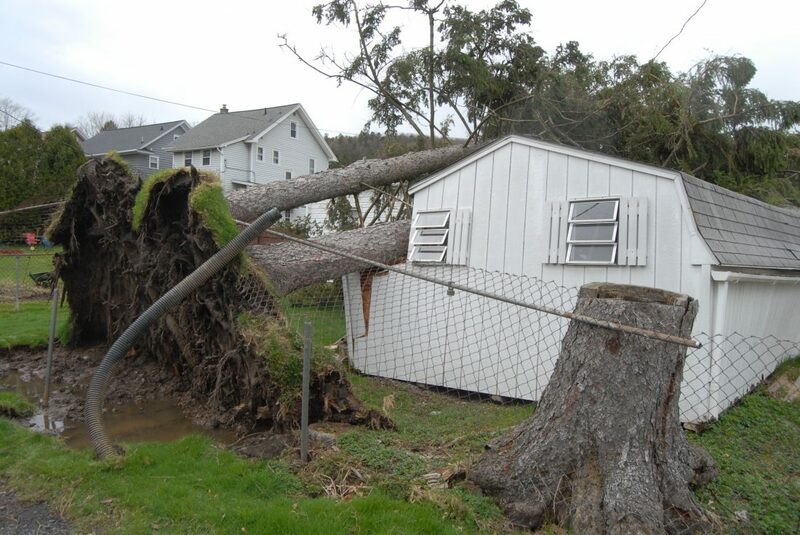 Joe Ceru, a meteorologist with the National Weather Service in State College, said that although the 46-miles-an-hour gust of wind is not categorized as a severe wind, other storms which went through the system could have been much stronger. They, however, did not pass over the airport. “It gives you an idea of what kind of winds we’re talking about,” he said. Old Lycoming Township received several emergency calls from between midnight to about 5 a.m., according to Joe Hobbles, fire captain for the Old Lycoming Volunteer Fire Co.
“We ran eight separate instances throughout the township, mainly around the Bottle Run Road area, but throughout the township for different wind-related incidents — trees down, powerlines down, as such,” he said. A few trees were removed, however, for instances of trees on power lines, emergency crews had to wait for PPL Electric Utilities to ensure there were no safety risks. Walter Sarama, of Old Lycoming, lives near his farmhouse, barn and two sheds at 2635 Bottle Run Road. He said when he woke up among other damage, his two 12-by-15-foot sheds — which had been on the property since around 1870 — had disappeared. They were found a quarter-of-a-mile away in one of his neighbor’s yard. Additionally, two vehicles he keeps at the property had 2-by-4s break through each of their windshields, a four-wheeler is still missing, and both the barn and farmhouse lost parts of their roofs, causing water damage. Inside the city, there were only a few trees on power lines that needed addressed, according to Todd Heckman, Williamsport fire chief. Nicole Corser’ property was the exception. She and her husband only recently celebrated their first year at 372 Lincoln Ave.
A tree fell on her shed, garage and vehicle parked between the two. Corser said she is feeling emotional after the event. “It’s an act of mother nature, nobody could have prevented it,” she said.